May 17, 2011  Front view of home (from De Longpre). In addition to giving his Newhall retirement home to the people of Los Angeles County upon his death in 1946, actor William S. Hart also willed his house in present-day West Hollywood, where he lived during his film career, to the city of Los Angeles. In a 1944 ceremony, Hart explained: "I would like to say in all the sincerity of which I am capable that in donating this beautiful spot, ... my former home, I am only trying to do an act of justice. I am only trying to give back to the American public some part of what the American public has already given to me." The house, located at 8341 De Longpre Ave. and backing up against Sunset Boulevard, is where Hart married actress Winifred Westover in 1921. The brief and tumultuous marriage produced a son (Bill Hart Jr.) in 1922 and ended badly — in protracted court battles, both before William S. Hart's death (over the divorce terms) and after, as mother and son unsuccessfully contested their exclusion from his will. County assessor records indicate the 2,962-square-foot, 4-bedroom, 2-bathroom house was built in 1919, while a second structure, presumably the adjoining garage, is 1,767 square feet. The property actually consists of two parcels, one of which is unimproved. 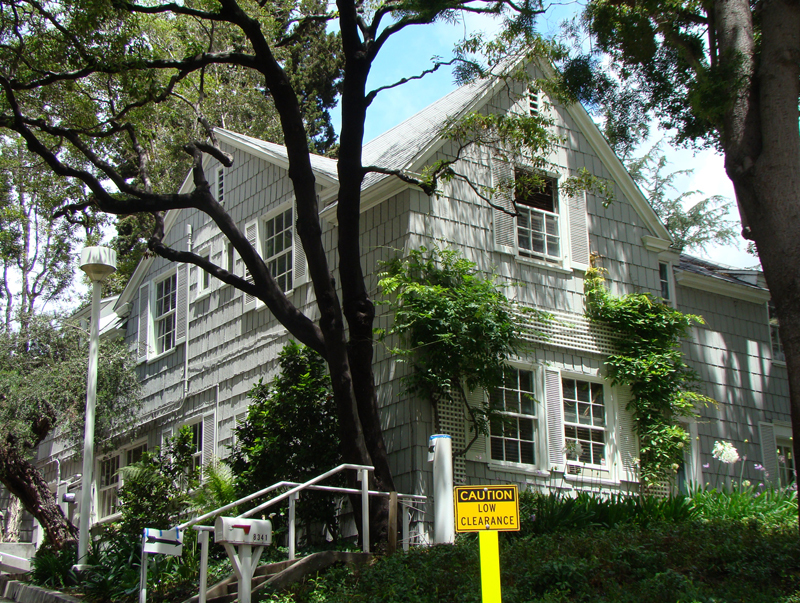 The city of Los Angeles never took much interest in the property, leasing it to various tenants until 1968 when the West Coast branch of The Actors Studio moved in. The Actors Studio refurbished the two-story house, turning it into a rehearsal space, office and caretaker quarters; and it converted the garage into an 84-seat theater workshop. Entrusted to the people of Los Angeles, the park remains the property of that city despite the 1984 incorporation of West Hollywood, where the park is located. In 1989 the city of Los Angeles agreed to lease the park to the new city for 30 years and give it control of the trust fund, then valued at $284,000, which Hart had established with a $50,000 endowment in 1944. Bill Hart Jr., a Santa Monica real estate appraiser, objected to the transfer and called for an accounting of the trust fund but failed on both counts. He died in 2004. The city of West Hollywood used the trust funds to make improvements to the grounds, and it rededicated the park on Hart's birthday (Dec. 6) in 1991. The work was performed under the guidance of City Manager Paul Brotzman, who remained in West Hollywood until 1996. In 2005, Brotzman would come out of retirement to join the city of Santa Clarita as director of community development (i.e., planning director). He retired again in early 2012. While The Actors Studio continues to function inside the both the Hart house and the former garage, which are off-limits to the public, the city of West Hollywood maintains the grounds as an off-leash dog park, which the city says is "a tribute to Hart's attention and care for animals" (he loved his ponies and Great Danes). The park also is home to an AIDS memorial and is available for weddings and memorial services. In 1967 it became clear to some members on the West Coast that many East Coast residents were moving to the Los Angeles area to work in Hollywood. Several of the members arranged a meeting to discuss a West Coast branch of the Studio. It was decided to run the idea of creating a West Coast branch past Lee Strasberg. At first he was not enthusiastic about the idea, wondering whether Hollywood would support a serious acting workshop. Despite his concerns they persevered by renting an upstairs loft on El Centro in the heart of Hollywood. Thirty or so West Coast members attended the first session, which grew rapidly every month and the West Coast branch of the Actors Studio was established. 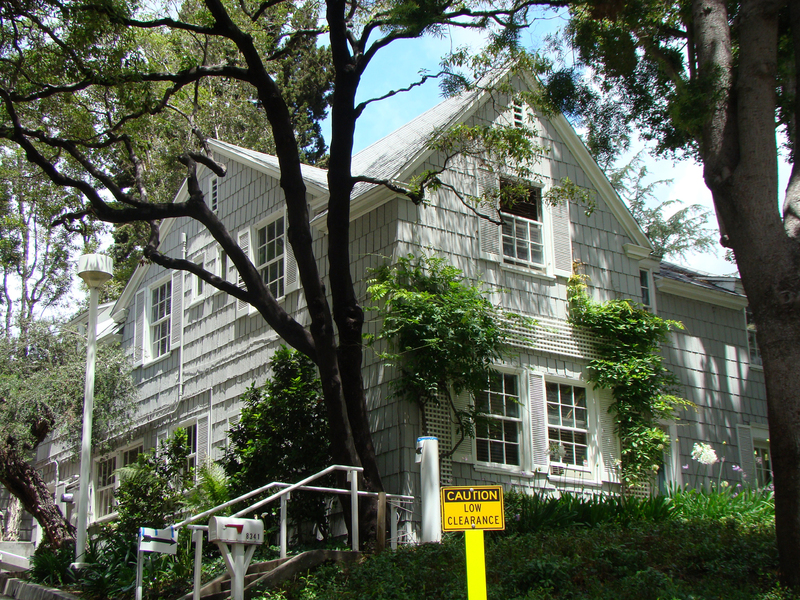 After a year the William S. Hart house in West Hollywood became available and has remained the home of Actors Studio West ever since. Lee Strasberg would spend six months moderating sessions in West Hollywood and six months in New York. Since his passing a number of people have taken over the artistic reigns of the Studio including Jack Garfein, Lonny Chapman, Lou Antonio, Clyde Ventura, Mark Rydell, Martin Landau and others. We are proud and happy that 2007 marks the 40th Anniversary of Actors Studio West. Actors Studio West has served the community in many ways by offering free theatre productions of work developed by Studio members along with appearances at schools and senior citizen facilities. The membership on the West Coast has grown continually and has welcomed many members from New York that have either come to live on the West Coast or visit it regularly for work, thus, making it possible to continue to actively participate in Studio work. Under the current joint leadership of Mr. Rydell and Mr. Landau, Studio West has flourished. The session work along with additional classes for members to participate in are all vital and the Playwrights/Directors Unit has gained great momentum over the past decade under the leadership of Lyle Kessler and Mark Rydell. The P/D Unit has developed many plays ranging from obscure works by Arthur Miller and Tennessee Williams to new plays by playwrights like Deborah Pearl, Kieran Angelini, Betty Beaird, and Dave Field. Mark Kemble's "Bad Hurt on Cedar Street" is another stand-out which subsequently went on to a successful production at the Greenway Court Theatre. From 2005 through 2007 Studio West managed and produced plays free to the public at the Tiffany Theatre. Nine staged readings of proven works, seven original plays and August Wilson's "Fences" were offered to the West Hollywood community.